MIUI 10 may be the latest version of Xiaomi’s custom UI, but that doesn’t mean that MIUI 9 has become obsolete. In fact, it will take months for Xiaomi to release Global Stable and China Stable ROMs for its devices. 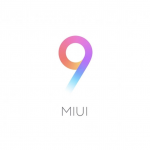 The company has already specified the roll-out schedule for MIUI 10 Global Beta, as well as MIUI 10 China Alpha. An important thing to note, however, is that a MIUI 10 update is separate from an Android Oreo update, as MIUI 10 ROMs can be based on older versions of Android. With regard to Android Oreo updates, Xiaomi has been slow so far. The company has rolled-out Android Oreo updates to its flagship 2017 smartphones, the Xiaomi Mi 6 and the Xiaomi Mi Mix 2. The Xiaomi Redmi Note 5 Pro in India recently received its MIUI 9.5-based Android 8.1 Oreo update. On the other hand, popular devices such as the Xiaomi Redmi Note 4, Xiaomi Redmi 5, Xiaomi Redmi 5 Plus, and others are still stuck on Android Nougat. Some older Xiaomi devices such as the Xiaomi Redmi Note 3 are even stuck on Android Marshmallow, even though they have received MIUI 9 updates. Previously, reports indicated that Xiaomi was testing Android Oreo updates for the Xiaomi Mi 5 and the Xiaomi Mi Mix, two of the company’s 2016 flagships. The company then released Android Oreo-based Global Beta ROMs for the two devices. Credits to @MIUIUpdatesTracker | @XiaomiFirmwareUpdater on Telegram.